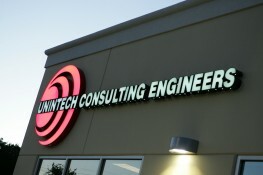 UNINTECH Hosts Open House Party - Unintech Consulting Engineers, Inc.
Unintech Consulting Engineers, Inc. (UNINTECH) celebrates the opening of its new 10,000 square foot corporate office with a festive party the evening of Friday, March 24th from 5:00 to 10:00 p.m. Guests will be treated to an assortment of food, drinks and frozen libations complete with a colorful lion dance performance at 6:00 p.m. Friends, clients and business associates have been invited to tour the new facility and join in the celebration with UNINTECH staff members. 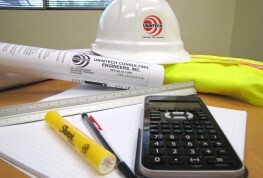 Founded in 1992, UNINTECH provides a full range of structural, civil and surveying services to public and private sector clients throughout Texas and the United States. In just over ten years, UNINTECH has expanded rapidly. Today, with over 50 employees, a spacious new office and an impressive list of clients, UNINTECH is paving the way for its future growth. 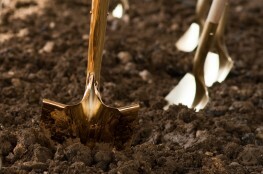 Construction on the new building kicked off in the spring of 2005 with UNINTECH itself providing the initial survey, civil and structural design and development of the site. The structure of the building incorporates an expandable design that can be modified to accommodate additional expansion needs. With UNINTECH leading the project, the building was completed and ready for occupancy by December 2005. The Open House party begins at 5:00 p.m. and runs until 10:00 p.m. In proud observance of UNINTECH owner’s Asian heritage, a lively performance by the Lion Dance Association will delight guests from 6:00 to 6:15 p.m. A variety of food and drinks will be available for guests to sample. Drawings for raffle prizes will be held throughout the evening.